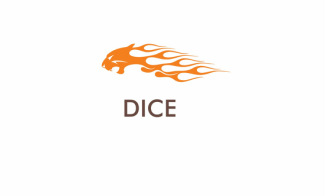 Dice is a UK based company which has built a new ground breaking concept engine. The strengths of the engine are that it maintains the original shape and configuration of a conventional engine for ease of production but has the advantage that potentially it can weigh as little as between 30 to 45% of any original engine and considerably cut the production time and cost to manufacture. The engine can be scaled up to suit any power output requirements, making it suitable for small and large engines alike. Applications vary from generator sets, outboard motors, motorbikes, hybrid drives to sports cars etc. This exciting new concept engine is also very much suited for sports and racing cars and we are actively looking for individuals and/or car racing teams interested in having a bespoke Dice engine made for their personal sports car or racing team car. We can add standard features as fuel injection, water cooling, piston cooling, turbo upon request and EGR etc. We can take your existing engine and see if we can attempt to increase its power by 30 to 45% by implementing the Dice principle as to keep the approximate original weight and configuration. If interested or if you know of someone who might be interested in such a new, prestigious and challenging engine for their sports or racing car, please be so kind as to get in touch.